Discussion in 'Gen 2 Prius Main Forum' started by usbseawolf2000, Apr 16, 2010. 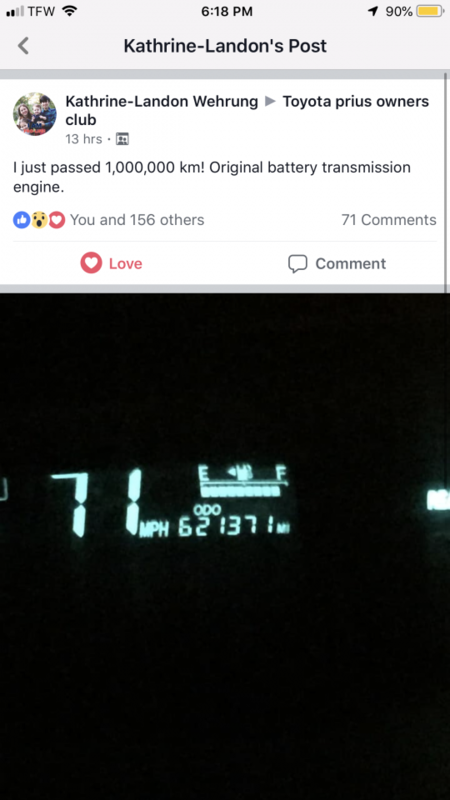 I have 417,000+ miles on my 2006 Prius, which I bought new. It is still using the original HV battery pack. Oil changes have been 5-7000 miles using whatever brand oil was available. The brake pads were changed once, at about 300,000 miles. The only problems I've had: the check engine light came on at about 110,000 miles, would be reset, and then come back on under acceleration (catalytic convertor sensor) - it's been on ever since with no problem; the A/C failed last summer and the leak is in the dash so it's not worth the cost to fix. I got 50 mpg until about 225,000 miles and then it gradually declined to 42 now. It's the best car I've ever owned. Problem is, I'd like to get a new car but now it's kind of a game. Will it reach 500,000 miles, or will I just find it on its roof in the driveway, with tires twitching, refusing to go anymore? If you replace the traction battery the fuel economy will improve, possibly back to what it was before. My 2008 ex Taxi Prius I expect to see the 1,000,000km roll up, it already has over 720,000km on the clock now. They only ever seem to refuse to go any more when the 12v battery dies and I sorted mine by building a battery out of tired 40Ah lithium cells and it hasn't had a no go issue since. I really think it is the regular servicing that is the key and doing them yourself makes sure they actually get done rather than just a book stamping and an invoice. Fuel filters might be an issue over there, in Aust they are in the fuel line so easy to change but I hear they are in the fuel tank and can't be changed over in the US. - 300k total, 291k ours. - Original engine and traction battery, just uses 1qt oil every 1000 miles. amos, SFO, stephensprius and 1 other person like this. Congrats to you! that's really cool accomplishment. Hope my wife's gen 3 model will go that distance. Posted via the PriusChat mobile app. That's not to say people actually go at the posted speed limit. More likely, Americans are just really bad about speeding. I like winding roads like a lot of people, but I stay within the speed limit. That's not illegal, as long as you're not recklessly endangering yourself or others. Speeding, on the other hand, I try to strictly avoid. Some people say I drive far too slowly because I stick to 55MPH on my notoriously inaccurate speedometer. Most Australian states are broke bordering on bankrupt, so a lot of revenue is collected via traffic infringements ....under 10km/h (6mph) $174 plus a victims of crime levee $60 plus 10% GST and 2 demerit point, between 10km/h and 20km/h $379 plus the $60 plus 10% GST and 3 demerit point. 20km/h but less than 30km/h $797 + $60 + 10% GST and 5 demerit points, 30km/h to 45 km/h $920 + $60 + GST +7 demerit points ($1021 all up and the second most common offence), over 45km/h minimum immediate loss of licence and probably vehicle as well for 6 mths, $1036 + $60 + 9 demerit point, but likely a trip to court via the lock up and quite possible jail time as well as a fine you'd need to sell a few of the kids to cover. You get 12 demerit points in any 3 yr period, loss 13 or more and 3 mths loss of licence for the first offence, 6 mths second offence, 2 yrs quite often for a third offence. The points add up across the country, not just in the state the offence occurred. In South Australia they use fixed speed cameras, point to point speed cameras and mobile speed cameras either set up on the side of the road or hidden behind a bush and just about every traffic light in the city has one looking in every lane. This one gets them a double wammy if you speed up to beat the orange light turning red because it is deemed you deliberately ran the orange light so the same penalty as a red light $464 + $60 + GST + 3 demerit points and either offence 1 or 2 from the list. Speed limit in the city area is 50Km/h and past a school bus with its orange lights flashing or an emergency vehicle stopped on the side of the road with its lights on is 25km/h, the same as in a school zone during school hrs. . . . . and they took away your guns, right? :lol: We still have drive by shootings so not all the guns unfortunately. Now the domestic disputes are stabbings and they go off to hospital to be repaired rather than the morgue with a hole in their head or similar. Road rage is now a fist fight rather than a shooting but sometimes it's the wheel brace through the windows. Everyone ha at least one dash cam these days so the whole lot gets filmed, makes for interesting viewing on You Tube. As far as the high speed chases, the Police can drive because they all have to pass a special driving school before they are allow in the Police Highway Patrol that has the high speed pursuit cars. That means the speeding driver has to be able to out drive as well as out speed the police pursuit car or it ends with the stolen car into a house or pole or parked car or just on its roof because they clipped the gutter or the centre traffic island. On the freeway you can see a speeding car approaching from behind so you try to get out of the way, when they come past you at more than double the speed you are going it something to witness from the sidelines. Sadly the accidents are devastating, the occupants rarely survive. Folks, as I approach the 400,000 mile mark with your Prius, I still amazed that Toyota has not reached out to me. While I know that there are Volvos out there with a million miles, as the 1st mass produced hybrird vehicle, I'd think the Toyota engineers would like to collect data on high mileage cars like my Prius. While I'm probably jinx'ing myself, I'm still on my original water pump! I'm not quite sure if any of the other big car makers could make that claim. I'm currently at 397500 miles, once I hit my next milestone, I'll post a pic of my odometer and my Prius. Posting from Facebook. 2009 Prius just rolled 621,371 miles..... OR one million kilometers! Still original HV battery and engine/transmission! She said she would able to roll 700,000 miles in August!! Kaptainkid1, Paul Schenck, Robert Holt and 4 others like this. wow. how do you become a member of the group? i'd love to see the comments. cwerdna, telmo744, Robert Holt and 5 others like this. 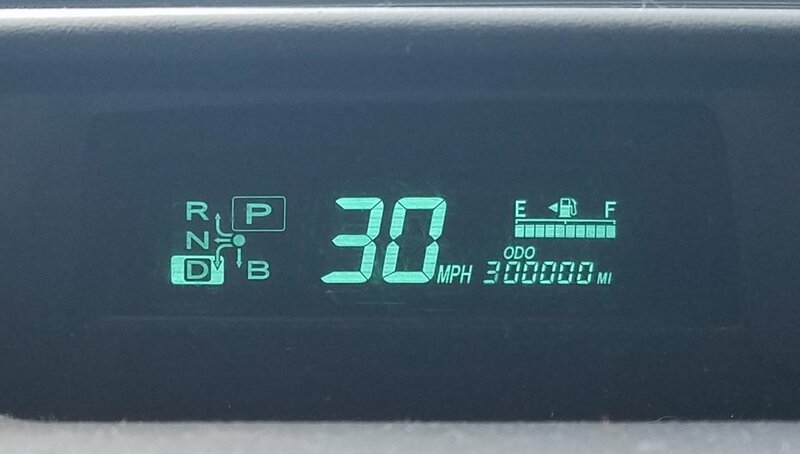 We bought my wife's 2008 with 315,000 miles and now has 336,759 miles. I looked up maintenance records on the car and it has only had a steering column recall? and headlight recall fixed. Regular maintenance like oil changes appear to have been done. Still original Hybrid battery. Car was driven a bunch on the highway and brake pedal, carpet on the floor for the driver, suspension and several other clues point out that it was a highway driven car. I was so impressed I found another used Prius that had 183,000 miles and bought it for myself. I will be giving my legendary Civic to our grandson in a few years, which is better on gas.... It's a 1992 Civic VX Hatchback... slightly modified... gets 65 MPG city driving - YES...YOU READ THAT RIGHT! I've gotten close to that with my Prius, but the VX holds the title for being most efficient. I bought the VX back in 2003 with 183,000 miles for $489.00. What a bargain! It now has 285,000 city driven miles. It's taken a beating and still runs strong. But... I like the PRIUS better for comfort and overall quality. If you drive a lot of miles, you're crazy or rich as hell to choose to drive anything other than a Prius. Aaron Vitolins and Kaptainkid1 like this. I have entered the club! My odometer stoped at 299,999 but keeps going. Glad to know that the trip only goes to 9,999, ill know when i need to watch it and be keeping track. That would be a manual transmission in the Honda not the continuously variable Davinci inspired Transaxel in the Pri??? 2008=100K MILES-When shold the serpentine belt be replaced? My 12V battery is 6 years old & working fine=Should I replace it before 3000 mile trip? Want to get rid of these ads?  Sign up for a PriusChat account above!